Edit: Saturday 17 Feb: Deposit taken. 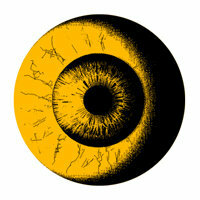 Edit: Friday 16 Feb. Reduced to £850. I have this coming in on the AC17 container which should be at Arcade Club in a few weeks. Why the sale? I managed to locate a few personal grails for AC17 *after* committing to this Afterburner so I need to balance my books, which means this has to fall out the end of the bed. A shame for me because I love Afterburner... but the other stuff I love more. Asking £950. Covers me (well, sort of) for purchase price and import fees but with a chunk of change left over in the your favour, so you will be saving money over and above importing directly. 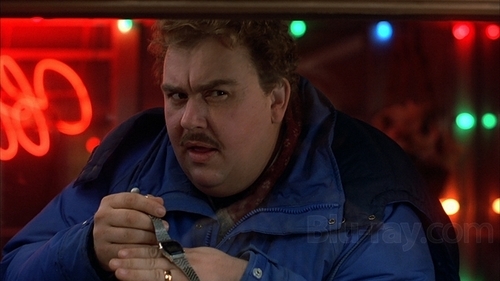 Additionally, I will pay for a power conversion and a go-through by Andy's boys. So you will have a ready to go, super-tidy Afterburner to collect from Arcade Club whenever the work has been done. For those who have an issue with such things, please note that this is not being flipped for profit. If you missed out on it first time round, now's your chance. A lovely Looking Cab, this will not be around long. Just a little thread bump ahead of the witching hour, which is when all of us make our very best arcade cab buying decisions. 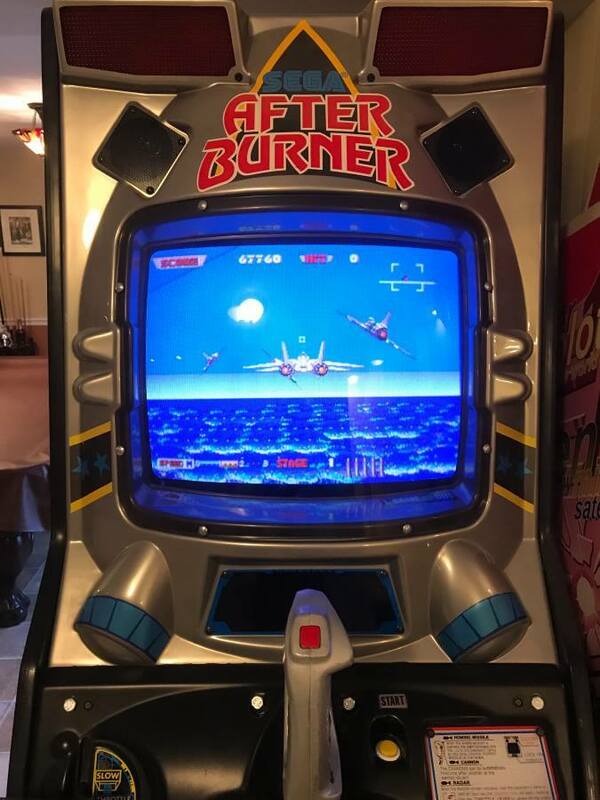 Maybe you've had a beer or two; maybe you caught the last half of Top Gun or Iron Eagle... maybe, just maybe, you need an Afterburner. Can't believe this hasn't sold. 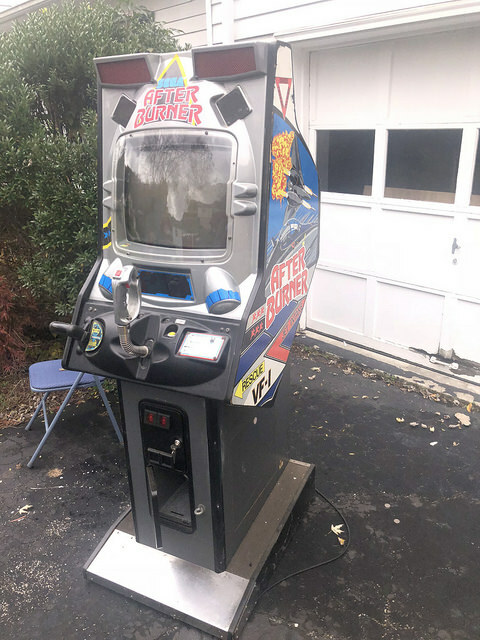 No many dedicated cabs left for sale. ICYMI. Sunday afternoon bump. Reduced to £900. Back to 1K in the morning. 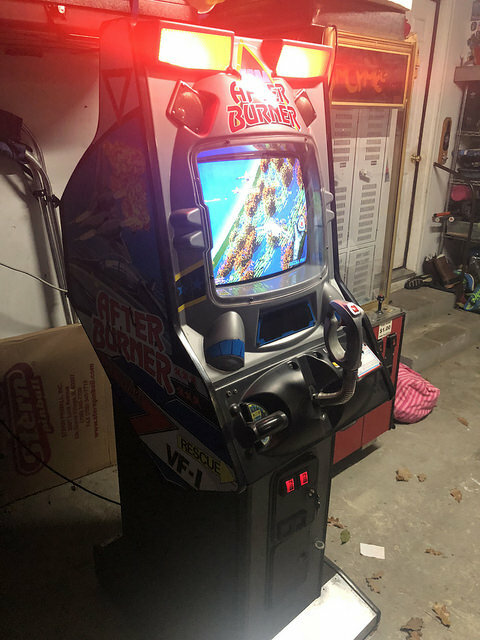 You are buying a fully sorted Afterburner (if for some reason it has stopped working in transit then Arcade Club will make it work, plus a power conversion, plus PAT testing, all on my dime). Due in with Andy in a few weeks. Its a strange one because theres times you dont see afterburner for ages and wanted ads are up its just lately loads popped up but its the same with outrun sometimes.. 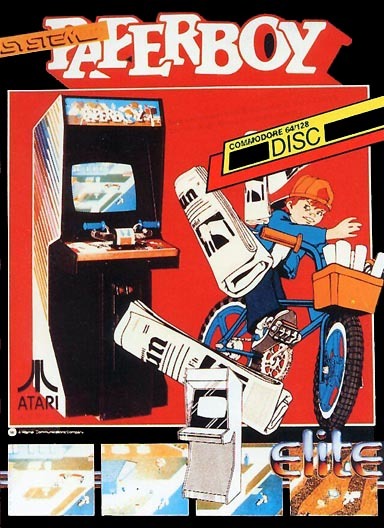 I think its a good price for a classic game especially when these type of games cant be played properly without the original cabs. Cheers Steven, appreciated. Me too mate, but then I would say that I suppose. 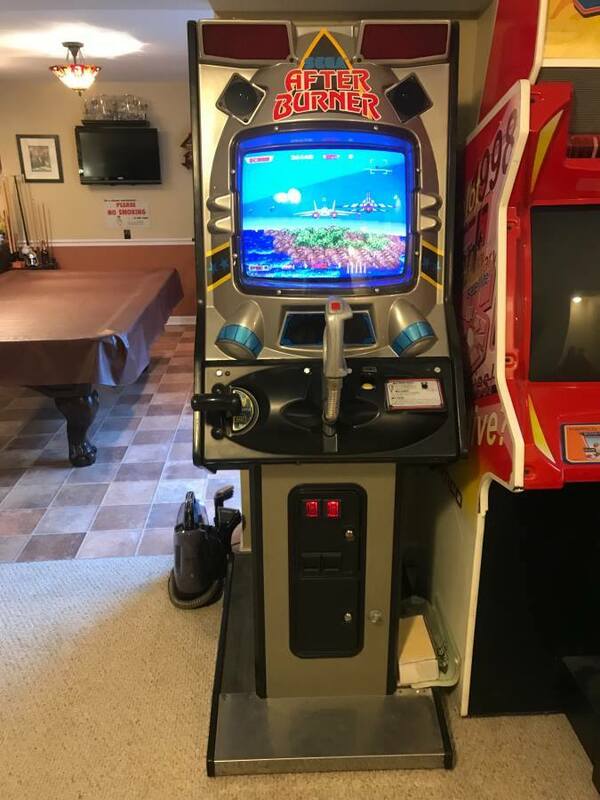 I was happy to pay what I paid originally ($950, which is about £730 as of this minute) because it's a really tidy cab (fairly sure Ken sent me higher-res pics so will update the thread with those when I find them) and I do get why some folk take the "last one sold for..." line because it makes sense up to a point. I also get why people object to sellers wanting to get back what they put into a cab, regardless of deemed UK aggregate value... but we all know that these are ageing machines. One is not the same as the next. 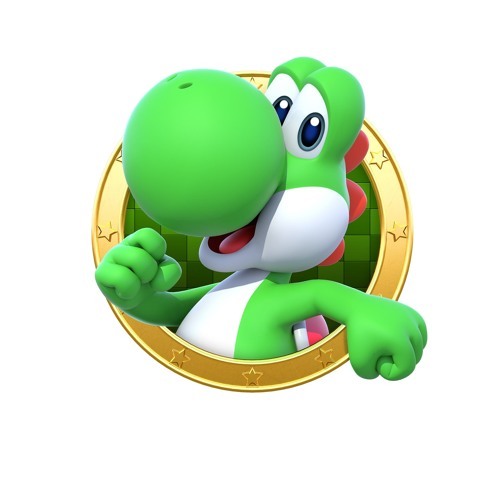 The most I'll take a hit on is the import fee because I have plenty of other stuff heading to Andy, so fully prepared to say goodbye to that in the grander scheme of things. It all works out in the end. Not in this hobby to turn a profit, just sorting out the sock drawer, so to speak. what the seller is asking. If you don't want it don't buy it.